When Demon’s Souls was released back in 2009, it struggled to find a foothold in the market. 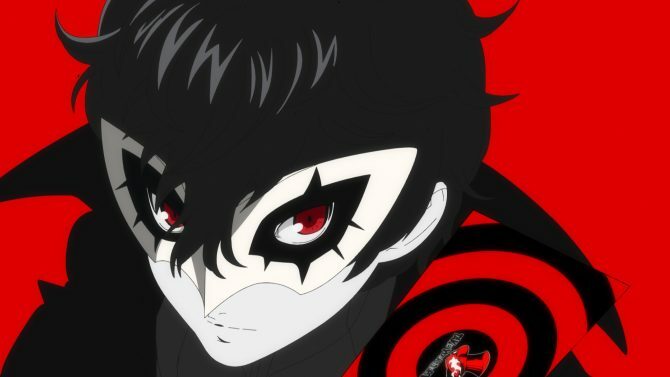 Its own original publisher, Sony, clumsily failed to see its potential, delegating its western release to Atlus USA, and watched with a mix of surprise and awe as the game turned into a cult hit. 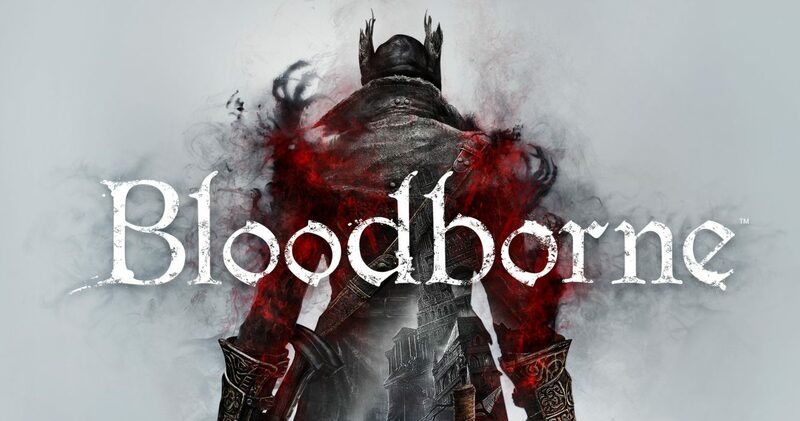 The following two Souls games, Dark Souls and Dark Souls II, gradually grew the following of From Software’s unforgiving games, and now Bloodborne, after losing the “Souls” name but retaining most of its ruthless concepts, closes the circle by going back to PlayStation exclusivity, bringing along an enormous luggage of hype and expectations. I could very well skip the paragraphs about the story, as Bloodborne is pretty much pure gameplay and atmosphere. You can easily summarize the core of the plot with “weak protagonist lost in a strange place trying his hardest to survive against terrible odds” and you wouldn’t miss all that much. That said, the Victorian setting is actually charming (in a rather horrific way), and despite its nature as a pure pretext for the gameplay, it definitely enriches the experience by exploring a massively dystopian version of a largely unexplored period with a creative coherence and style that are rare even among the best AAA games. Basically, you’re a stranger in the cursed city of Yarnham, where the Church has long engaged into perverted blood rituals, and now a curse is turning the people into terrible beasts. While you awaken as a hunter, it’ll be a long and painful growth process before you can truly become one. Make no mistake: at the beginning you’re little more than prey. While Bloodborne’s graphics can be defined slightly rough around the edges if we look at them strictly from a technical standpoint, what really shines is the art direction. It’s so solid and interesting that it kicks the technical shortcomings right out of the picture and turns the visuals of the game into something absolutely charming — despite the fact that most of the elements depicted on the screen range from the horrible to the clearly disgusting. Animation and lighting are definitely two further high points. The latter creates an oppressive atmosphere that perfectly fits the theme, while the former really adds personality to characters and monsters. The fact that so much attention has been dedicated to animation is, mind you, quite deliberate and utilitarian. Being able to read enemy attacks is one of the most relevant keys to survival, and there are no other visual cues than the way they move. Sub-standard motions would have detracted massively from the value of the game, but luckily From Software managed to hit all the right notes here. One of the few strange design choices is the absolutely exaggerated use of rag doll physics. They’re so over the top that just walking over a corpse will cause it to flip flop around like it was made of jelly; and when that happens to a massive brute or werewolf, it kind of puts a dent on the game’s otherwise extremely coherent horror atmosphere. The excessive use of Havok-powered destruction physics also seems to cause a few problems. It’s very nice to have a gazillion of elements of furniture and decorations around you that can be ruthlessly torn to pieces, but all those pieces do take a toll on the hardware, and cause small but visible frame-rate issues. I understand that From Software wanted to convey the feeling of a cemetery city, but do we really need all those breakable urns scattered basically everywhere? I would understand their presence if more of them hid items and loot, but 99% of them are just there to provide lifeless targets for our indiscriminate violence. There isn’t very much dialogue in the game, but voice acting is definitely adequate. What really shines is the score, that includes quite a few really memorable tracks. I would have actually liked to hear them play more often through the game, but when they do, it’s a joy for the ears. Yet, I’m quite sure you’re not here to hear me blabber endlessly about graphics and audio. In a game like Bloodborne, even more than in most other games, gameplay is king, and the gameplay is awesome. If you have played Souls games, you have an idea of what you’re getting into. Like its predecessors, Bloodborne ruthlessly punishes mistakes, greed and carelessness. Lose your focus, and you’ll die. Get too greedy, dragging combos too long to kill enemies in a hurry, and you’ll die. Even rank and file enemies can kill you, especially in large groups, but as you proceed deeper into the game, they won’t even need to swarm you to prove lethal. Almost every single enemy can prove to be a deadly opponent, but in a fair and balanced way. Nowadays, games that attempt to be difficult (especially via higher difficulty settings) are simply cheap. They simply increase the challenge in a linear way by piling in more enemies or giving them exaggerated stats. In Bloodborne that’s normally not the case. Most enemies are strong, but they fight with very noticeable patterns and provide visual clues that give any player actually paying close attention the ability to walk away from almost every encounter completely unscathed. It really boils down to a simple concept: if you get hit too much you die. If you manage to avoid enough hits, you survive. While this idea may seem overly simple, it’s quite refreshing in today’s gaming landscape, that normally doesn’t discourage players nearly enough from getting hits. If you think about most games, your character is a damage sponge, and most of the times he magically regenerates whatever damage he receives after a few seconds. Your hunter in Bloodborne is vulnerable, and he normally does not regenerate by himself. Every hit you receive counts. This means that if you’re not used to Souls games, you’ll probably die a lot until you get accustomed to actually defend yourself. Initially those deaths might even feel unfair, but they aren’t. Dying because of unavoidable circumstances is absolutely rare in Bloodborne. If you pay attention, you won’t die. And if you die, you’ll know exactly the reason why. After that, it’s just a matter of applying that knowledge the next time you encounter the same kind of enemy. If your reflexes are slow, you’ll just have to go faster. If your combos are too long, you’ll just have to shorten them. If your dodges are sloppy, you’ll just have to become more precise. This is the law of Bloodborne, and the game mercilessly hammers those concepts into your brain. You either learn or you quit. The game is simply fundamentally fair, and it encourages you to be skillful and careful. Some may find it excessively difficult, but as far as I’m concerned, it’s a massive breath of fresh air — and a very welcomed one. The concepts described above become even more relevant when you fight a boss. They remain fundamentally fair and predictable (again, if you pay attention); but they go faster and hit harder, meaning that you’ll have to go faster and play harder too. That said, perfection does not exist, and there are a couple of instances in which bosses stray from the usual ruthless fairness and feel a little unbalanced compared to the rest. One example is the second undead giant in the Chalice Dungeons. After he enrages his attacks feel much more on the cheap side than anything else I fought against, almost as if he hadn’t been designed by the same development team. 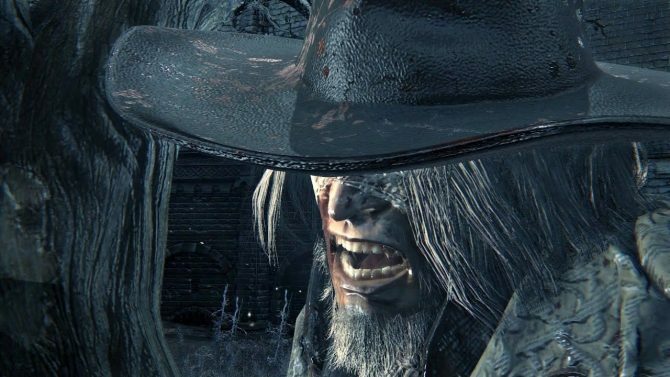 Aberrations aside, Bloodborne is a nearly perfect mix of pain and pleasure. The process between defeat and victory can be very painful, especially if you’re not extremely skilled to begin with, but all that pain accumulates and explodes in extreme satisfaction every time you finally achieve a victory. If you like challenges, it can be an extremely addictive process. The game’s weapon and battle system actually improves on the balance between challenge and reward compared to previous Souls games. There’s only one shield in Bloodborne, but I can’t really imagine why anyone would use it. It’s utterly weak, and turtling behind it is completely ineffective. While you don’t magically regenerate over time, you can recover the lost damage when you get hit by striking back at the enemy within a few seconds. This means that you’ll find yourself deciding quite often whether to play aggressively to keep your health up, risking further damage, or to withdraw and regroup, paying the price of a more permanent energy loss (at least until you use a blood vial, which is the equivalent of a healing potion). Almost every melee weapon has two different forms. The most common differences between them are damage, reach and speed. But there are several combinations, and some implements of destruction have quite unique mechanics. This leads to an extremely wide variety of fighting styles, much broader compared to what you get from your usual melee weapons — especially if you dynamically combine the two forms of your chosen weapon, adapting to the situation on the fly. The more you switch around, instead of just sticking to a single shape, the more fun you’ll have and the more rewarding combat will feel. Melee weapons are only half of the picture (well, actually we could say a bit more than half, as their importance is definitely predominant), as you can also carry firearms. The damage they deal is surprisingly low, but that’s mostly because their purpose is primarily to stagger opponents when fired with the right timing while they’re attacking. They’re basically your shield, but they require quasi-surgical precision. Learning to use your guns effectively in their defensive purpose is probably the part of the game that is the hardest to master. Once you’ve done it, though, it makes combat all the more satisfying and varied. For those that prefer a less ruthless challenge, co-op multiplayer is definitely handy, as it allows to summon up to two other hunters to help us out until we defeat a boss. The feature is definitely fun and worth exploring, even if it does tend to spoil the usual ruthless challenge of the game — especially if the summoned hunters are higher level. On the other hand, summoning other players for help also increases the chances to have your game invaded by hostile hunters, and this can create some really exhilarating PvP battle royales. The advanced combat system makes competitive multiplayer definitely fun and varied, even if balance isn’t always perfect. While previous Souls games did not include the option, and probably purists will say that it’s not necessary or warranted, it’s hard not to think that a full co-op mode allowing you to play the game from start to end with a friend would have been a welcome option. The asynchronous multiplayer options are quite similar to what we’re used to, with the ability to see ghosts of other players, and to leave and read helpful (or tricky) messages. You can even rate them, and it’s rather fun to go around and read what other players left in their passing. The main new feature, though, are the chalice dungeons that let players procedurally create and share multi-level labyrinths that can definitely enhance the already considerable longevity of the game. While the feature is very cool and definitely welcome, after a while the dungeons become monotonous due to fairly common layouts and the relatively limited number of modules, that lead to them looking quite similar to each other. A higher degree of variation would have improved the chalice dungeons tenfold, but they’re still quite promising, especially in light of future development. Just imagine how cool it would be if From Software implemented an actual editor using the same modules, even just in a possible sequel. The fact that most of the bosses are purposely designed for the chalice dungeons and aren’t recycled from the campaign, also increases the value of this somewhat limited but definitely enjoyable feature. 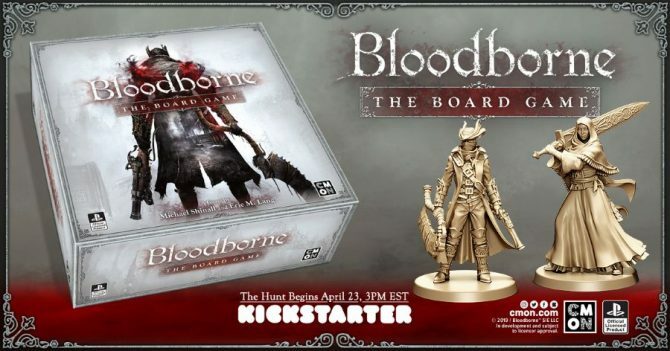 Ultimately, Bloodborne is not a game for everyone. Modern gaming has taught us that it’s ok not to pay attention and not to rely on actual skill, and those that fit in that mindset will quite possibly find this title frustrating. 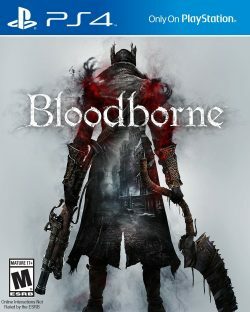 Yet, while it does have a few actual shortcomings, if you’re willing to embrace its challenge and ruthless fairness, Bloodborne is most probably the best game released on PS4 so far, and one of the best experiences of this generation. It mixes pleasure and pain wisely, creating a special concoction that will keep you glued to the DualShock 4 (unless you throw it against a wall). The utterly fulfilling sensation you’ll feel after finally beating some of the most resilient bosses will make you cry with joy. It’s simply priceless.